Thanks to some cheap flights, husband and I managed to sneak away to Greece’s largest and most populous island, Crete. 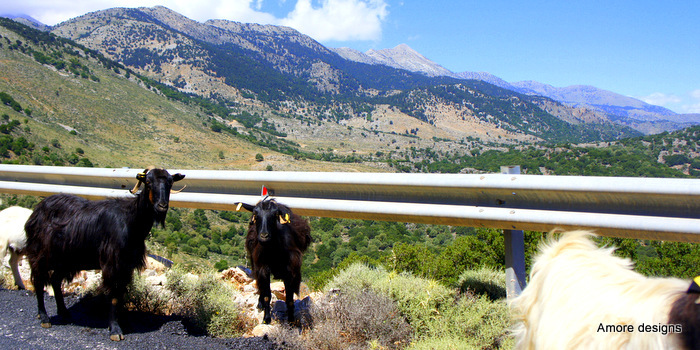 Apart from some beautiful beaches, we didn’t really know what to expect from Crete. And we were pleasantly surprised by its natural beauty. Here is a summary for any of you thinking of heading to Crete. Crete is a pretty huge island. In 4.5 days, we only were able to take a glimpse at half of the island. We stuck to the western side, as a lot of things to see are centred around central and west Crete. We flew into Heraklion – Crete’s capital on Wednesday evening, and decided to drive straight to the far west to Chania. On our way to Chania (a 2 hour drive from Heraklion) we took a turn off and ended up at a pretty little church and huge taverna that overlooked a small rock beach. The taverna was quiet, but we decided to give it a go. We were not disappointed! The meal was SO good and fresh. With our stomachs full of good food and a little bit of ouzo (it was on the house – thanks Paradise Taverna), we continued our way to Chania. With Chania as a base, you can visit the beautiful Elafonissi and Balas beaches. Unfortunately, due to very windy weather, we had to give Balos a miss. On arrival in Chania, we were greeted by the lovely Stella and Giorgio from Semeli Studios. The studios are not in the city centre, but closer to the port of Chania. Being out of the city centre suited us fine as you pay almost half the price for a great room only ten minutes’ walk from the old town. Chania is a pretty little town. The streets still have the Venetian feel and full of touristic shops, tourist taverna’s and a few little specialty shops. I did really like Chania, but it really did feel like a tourist based city. It felt like the tourism took over the real charm of the city. You can’t browse a shop without the sales assistant following you in and hounding you with information. In fact, I was interested in buying some of the natural sea sponges, but I got turned off after the assistant would not stop trying to sell me additional products. Husband walked away laughing – I had to contain it. We had to choose between going to Balas or Elafonissi. Because of the wind, and possibly not so good weather – we decided to road trip it to Elafonissi. So after a good Greek coffee from Stella, we started on our way to Elafonissi. The trip from Chania is about 1½ hours, but unfortunately we were stuck behind a delivery truck so our trip was a lot longer. The drive is interesting. It’s a curvy ride, so be prepared. We were lucky to be visiting Elafonissi at the end of May, because I can only imagine how crazy and full the area would be during the peak of summer. You park your car on a dirt carpark and it’s a short walk to the first beach. Once you keep on walking towards the island you pass through some beautiful clear water and then onto the Elafonisi island. It’s here where you can spend the day relaxing and enjoying beautiful blue waters. You will also find some pink sand (which I found fascinating). After a bit of research, I discovered that the pink sand are tiny red organisms that grow on the dead coral reefs and pieces of shells which fall to the ocean floor and is washed onto shore. I’m not complaining though! Adds to the beauty of Crete. Unfortunately for us, the weather wasn’t too good. 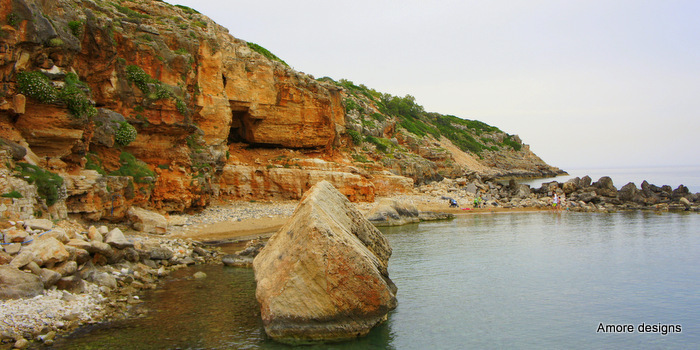 My husband enjoyed a swim in the clear waters – and I was satisfied exploring the rock formations on the islet. From Elafonisi, we took the road up to Falasarna, another hot spot. We were so hungry, so we had to stop off for a bite to eat. To be honest, we really only wanted a giros, but there was nothing of this sort on the road. The place we stopped off at had good food, but nothing to rave about like Paradise Taverna. We almost wished we hadn’t stopped off there, and had travelled a bit further up the road where it seemed more remote. But our hunger turned into angry hunger so it was either eat of lose it! After Chania, we decided to check out the Frangokastello – a venetian castle built to protect the island from pirates. The castle has a nice view of the beach, and the blue waters tempted us for a swim. The water was so clean (rough from the wind), but the beach as a whole isn’t the most beautiful I have seen. But I do believe the atmosphere would be really cool in the peak of the summer especially with the castle in the background. After I made some homemade Panini on the beach (I’m sure I am making my mum proud every time I do this) we made our way to Plakias – a small beach resort. We had no accommodation booked, and after finding something on booking.com, husband went and asked if we could have the room. Will definitely do this again as it’s a fantastic way to bargain prices – and get a good room! Plakias is a cute little resort – really not a lot there, except for blue waters and loads of tourist taverna’s. It’s also a great base for venturing to the Preveli beach and surrounding gorges. Definitely worth visiting! From amoudia, to the quaint beach of Preveli. The mix of rock faces and tropical palm trees is appealing to the eye. You can take a swim in either the fresh water lagoon or the blue sea. Once again I had nothing booked, so we found some serviced apartments about a 20 minute walk from the old town. Great find! Best room – on the third floor with water views… Am definitely enjoying this “find accommodation when you get there” risk we have started taking. 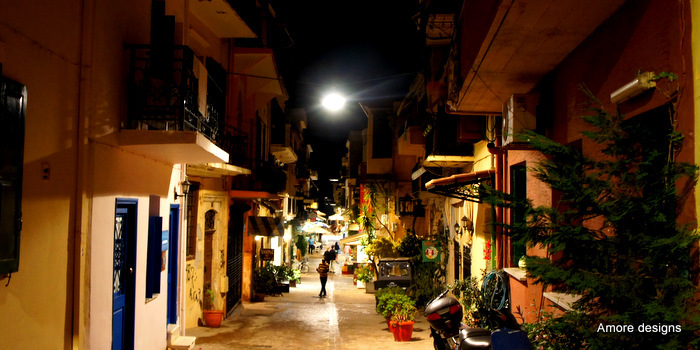 I loved Rethymno… Yes the entire promenade is full of tourist taverna’s but there is something just so fun about it. Great bars, so funky! We asked Spiro from Olympia Hotel for a good restaurant in the city. He sent us to Alana Restaurant, a pretty modern Taverna amidst the old town. Best meal in Greece ever!!! Once again we were on the coastal road, on our way back to Heraklion. We were in Heraklion on a Sunday – but had we have been there during the week, I am sure we would have shopped up a storm. Some great little shops around with cool clothes! We spent some time at Knossos. I had originally thought it would take us around 2-3 hours to see the entire ruins (based on the trip advisor reviews). But we were only in there for about 1.5 (max) hours.